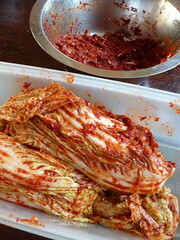 Kimchi is Korea’s national dish: fermented Chinese cabbage preserved in a spicy chili mixture. 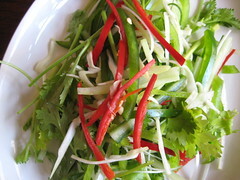 It tastes zingy, spicy and fresh at the same time and goes really well with all kinds of dishes, also with fried rice. 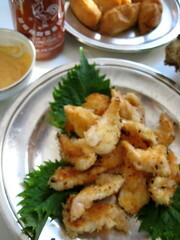 In Korea, they have it with about every meal and the Koreans believe strongly in its healthy properties. They even took it along on their first space flight as astronaut food. 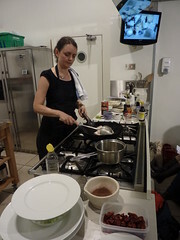 You know it by now, I love watching Chinese cooking videos – for example on YouTube- and getting new inspiration. 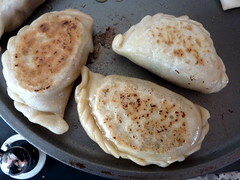 The older Chinese cookbooks are to blame- they hardly have any photos, nor mouthwatering pictures, only boring pages with only characters, so you have to be super dedicated to really read it all without a picture to make one hungry. Finally some time to write up a recipe- I’ve been too busy with nothing, holidaying, shooting pictures, cooking simple and not so simple food, and my new addiction twitter, which is fun enough to post little things on about stuff that interests you, but seriously keeps one from blogging or writing up longer pieces altogether. 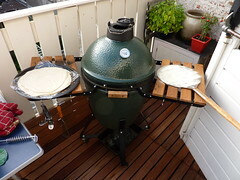 This is, in my opinion, the perfect snack food for long summer evenings. Shrimp always tastes heavenly, and coating them with Japanese breadcrumbs (panko) is even nicer. They get a great crunch. When you serve these shrimp with a mix of mayonaise and sriracha hot sauce, my recent addiction, the whole plate of shrimp will be gone in no time. Of course the attractive thing of this salad is, first of all, its name. Laohu cai 老虎菜, ‘tiger vegetable’ or ‘tiger salad’ is an intriguing sounding dish which came into vogue in China in the past five years or so. I actually can’t tell you when exactly it came on the scene, since I have no recollection of it appearing. 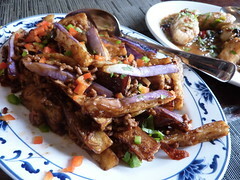 But then, lots of dishes come to the Chinese dining scene without us knowing about it!